But every now and again a Dark-Hunter thinks himself above the Code. That's when I'm summoned. Who am I? I'm the one thing the fearless fear. Step over the line and it's my wrath you will face. Nothing can touch me. Nothing can sway me. I am relentless and unfeeling. Or so I thought until I met a female Dark-Hunter who goes by the name of Danger-it's not just her name, it's how she lives her life. She doesn't trust me at all. And who could blame her? She alone knows that I'm here to be judge, jury and most likely executioner of her friends. Yet she is my key to saving some of them. Without her, they all will die. Dangereuse St. Richard is a deadly distraction. Something about her is reawakening a heart I thought was long dead. But in a race against evil, the only hope mankind has is that I do my duty. And how can I do my duty when it means that I will have to sacrifice the only woman I've ever loved? 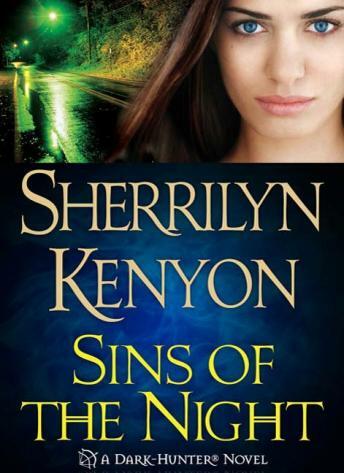 Another Great Book from Sherrilyn Kenyon! I was curious about Alexion, Who he was, were he came from? this book gave clarity to all of my questions. I wish all of her Dark Hunter series books were on this site... If they were, I would listen to them all!